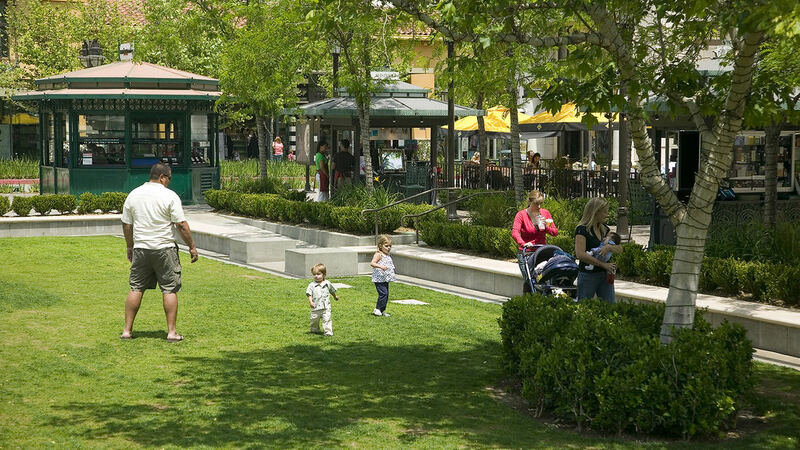 A decade after completing Victoria Gardens, the owner was looking to refresh the project to keep it relevant for years to come. 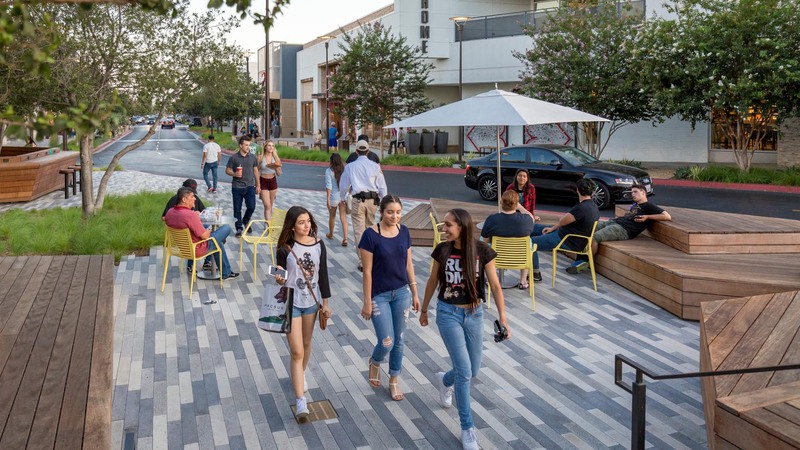 SWA redesigned a three-block streetscape and plaza along Monet Avenue, a main retail street there. 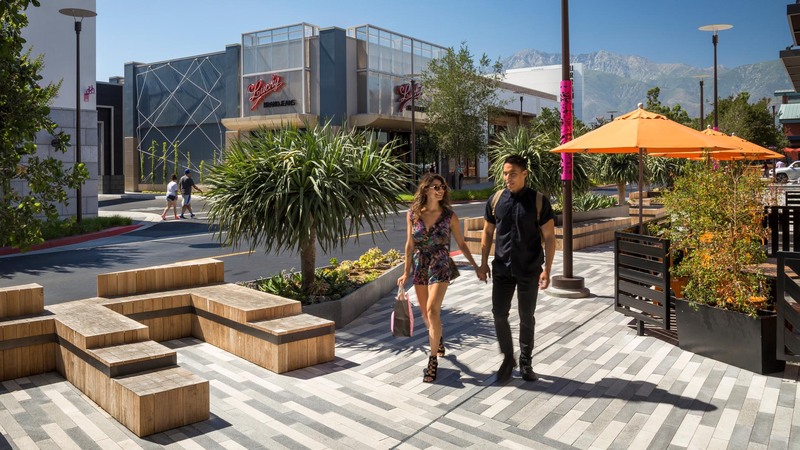 The focus is on the next generation of users, with a shopping environment that highlights the social landscape and blurs the lines between retail and recreation. 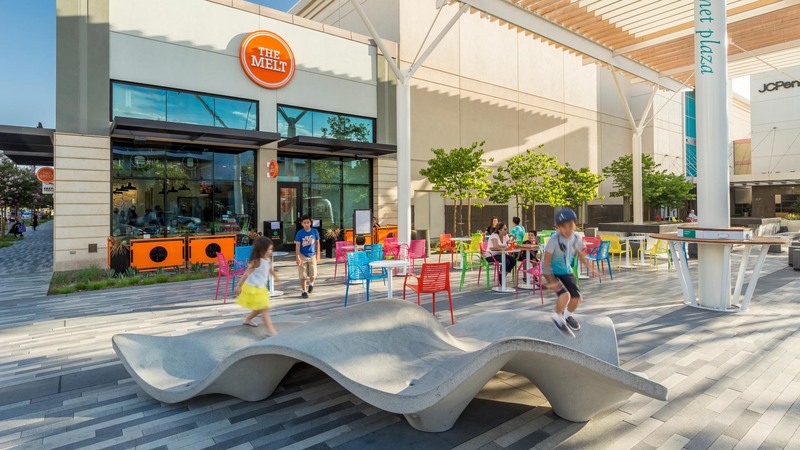 The design scope included landscape, paving, fountains, site furnishings, and art interventions, with the use of drought-sensitive planting, high-efficiency irrigation, and innovative storm water treatment. 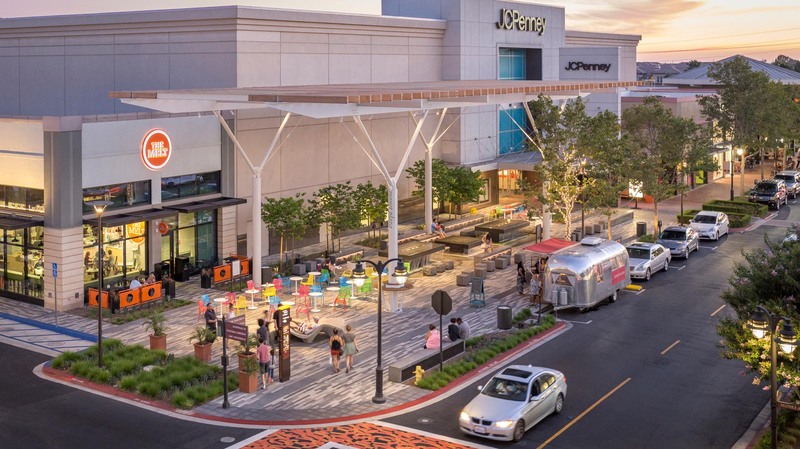 This 147-acre downtown combines the best traditions of Western American town centers with the social and planning demands of the early 21st century. 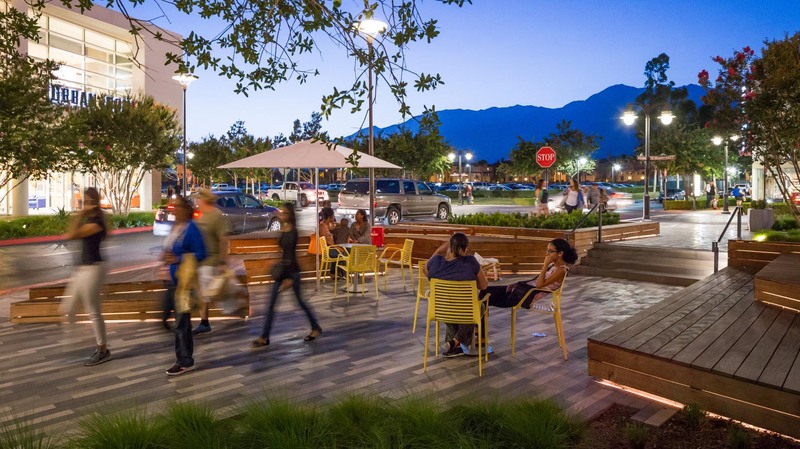 Retail, office, residential, civic and cultural uses are placed within the landscaped urban experience of a traditional main street environment. 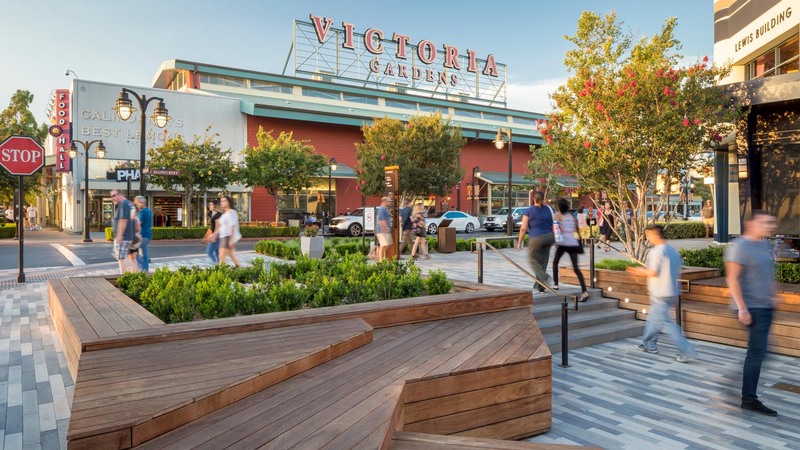 The landscape framework for Victoria Gardens is a grid of local streets and sidewalks with a town square, plazas, paseos, and parks distributed throughout the downtown district. 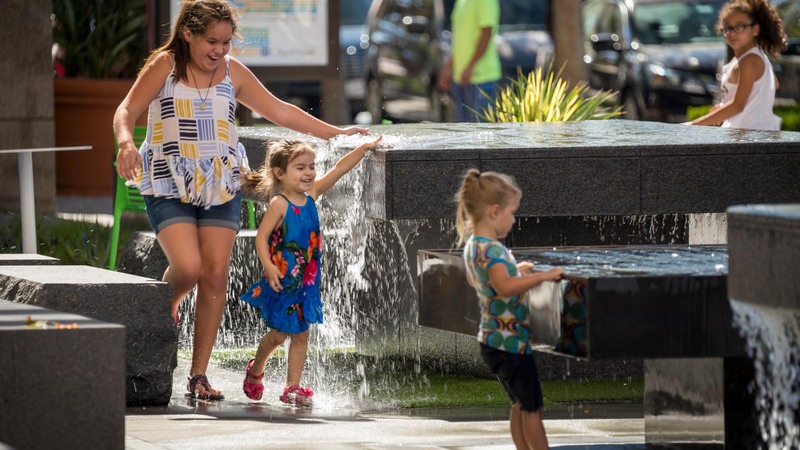 The streetscape trees are planted in beds of native shrubs and groundcovers to further enhance the garden heritage of the project. 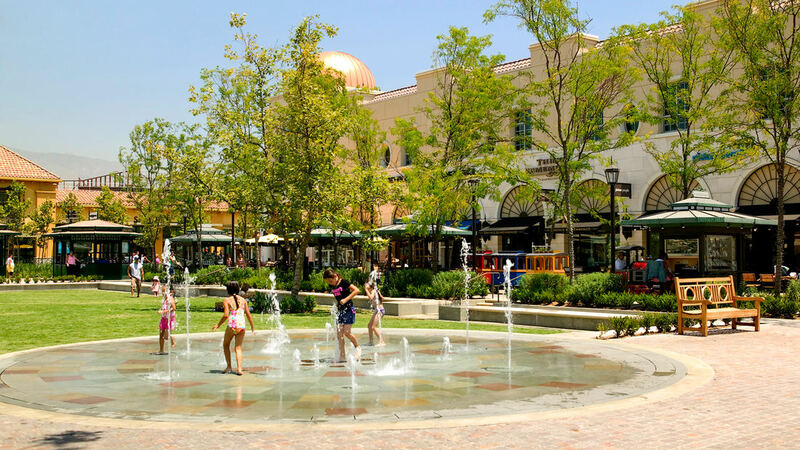 Victoria Gardens will be the second largest open-air shopping center in the United States behind Stapleton in Denver, CO, which is being built by the same developer, Forest City Development. 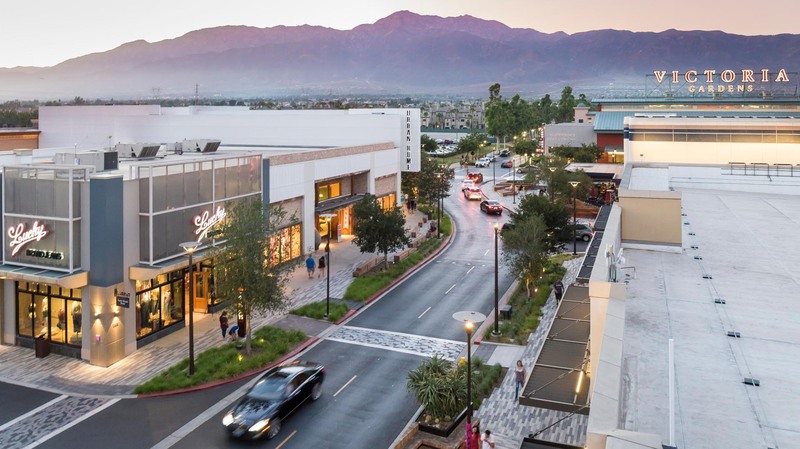 Rancho Cucamonga, which is located in the Inland Empire, is expected to grow by about four million people in the next 15 years. 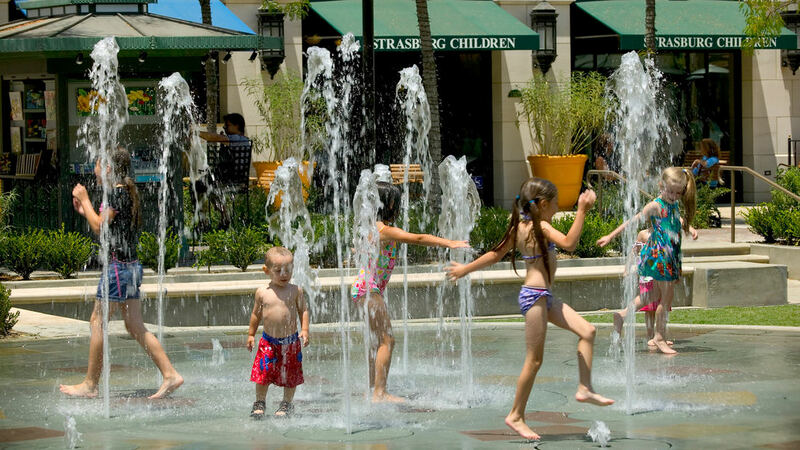 The area has a rich history dating back to the mid 19th century. Six major trade routes passed through the area including the El Camino Real (connected the missions by a days travel), Santa Inez Trail (major trade route connecting the Colorado River to the settlements out West), and Route 66 (major vehicular route for the mass migration westward during the dustbowl and post WWII era). 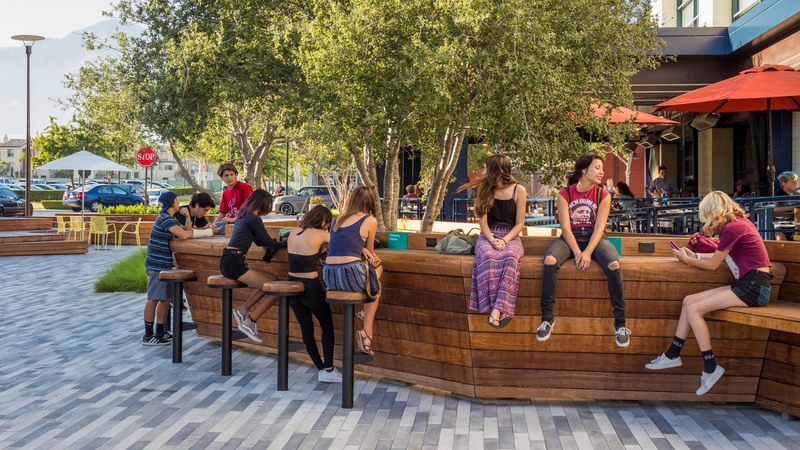 You enter the site for Victoria Gardens through a formal Date Palm grove that calls back to the region’s agrarian roots while creating an identity from the nearby I-15 freeway. 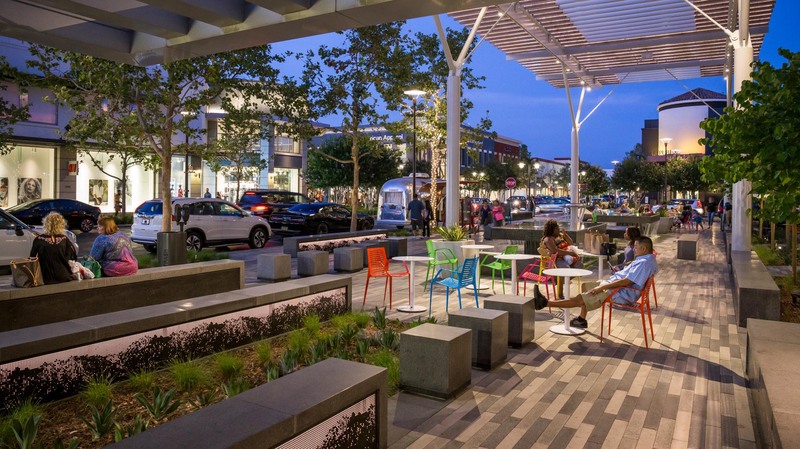 The downtown area is framed by parking lots containing linear planters of Bradford Pears creating an orchard-like effect. 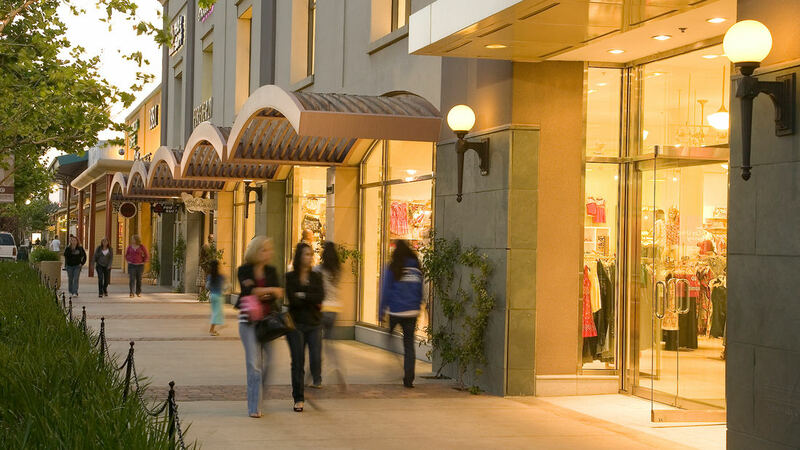 Both North and South Main Streets are lined with London Plane trees, which have a rustic quality that celebrates the passing of seasons through their fall colors. 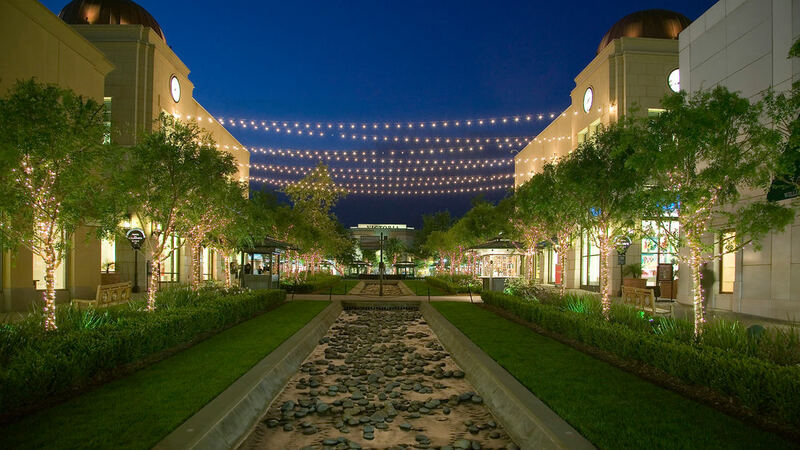 Other arterial streets are lined with California Peppers, Eucalyptus, African Sumac, and Aristocrat Pear.